Carmel Home Educators Basketball Family Fun Night for fathers and their children! 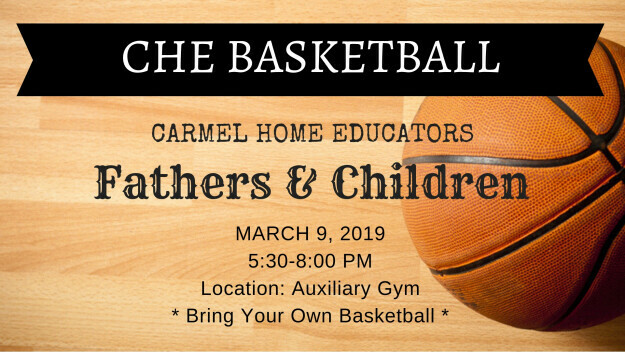 Get to know other homeschool fathers who attend Carmel and work with your children on their basketball skills at the same time! * Bring your own basketball.